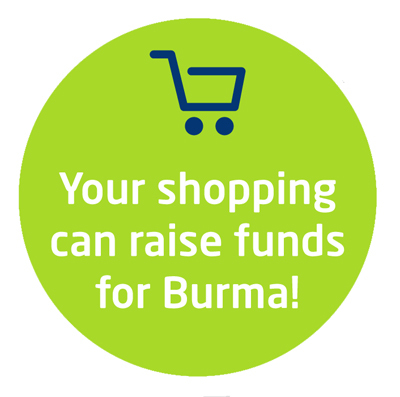 Sign up for free here to raise money for human rights in Burma every time you do your online shopping! Whenever you shop online, you can now raise money to help the campaign for human rights in Burma. Just sign up for free here. We sometimes get asked for recommendations for new books on Burma or on topical issues relating to Burma. Here are three recent books which you may find useful and interesting if you fancy something more serious for your summer reading. This fascinating book looks at Burma’s history and its struggle for justice, with wide-ranging accounts of the courage and determination of Burma’s people. Brave New Burma is a stunning book by Nic Dunlop, who has spent 20 years photographing Burma, from the frontlines of war, to Aung San Suu Kyi, to the lives of ordinary people struggling to survive. The autobiography of Zoya Phan, who was forced to flee Burma when Burmese army soldiers attacked her village. She is now a high profile activist campaigning for freedom for her homeland.